How do I collect (and return) items? An Inter-Library Loan (ILL) is a book, journal article, or other publication which is not available from our own library stock, and which we may be able to obtain for you from another library, through the Inter-Library Loans Request Service. If you are a Distance Learner, you may be interested in our Library Request Services for Distance Learners. Who can request an Inter-Library Loan item? De Montfort University academic staff, visiting academics, researchers, postgraduates, and some undergraduate taught course students* can use this service, as long as the item is related to their area of study or research. Academics who wish to request a journal article for teaching purposes should contact the ILLs Team, and not use the online ILLs request form. This is because the item will not be for Individual use, so it will need to be requested in a different way and the appropriate fees paid in order to ensure it complies with Copyright legislation. * 3rd and 4th year undergraduates can request ILLs. 1st and 2nd year students may also be able to request ILLs if their Subject Librarian agrees to this. Before you place an ILL request, make sure that you have thoroughly checked LibrarySearch first to ensure we don't already have that book, journal or article in our collection. Also check Google Scholar to see if the title is freely available, as this will be much quicker than requesting the item through the ILL service. How do I request an ILL item? To request any publication which is not already held in DMU Libraries' collections (including our online collections and subscriptions), you will need to complete an Inter-Library Loan Request form and we will try to obtain a copy for you. Contact our Just Ask enquiry service or ask a member of library staff if you have problems logging in to your library account. Are there any limits for ILL requests? If you are eligible to obtain ILL items, there is a maximum number of ILL requests you can have concurrently, so please check your entitlement limit before you place any ILL requests. In addition, all items that you borrow or access through the ILL service are subject to Copyright restrictions. If you find that this guide doesn't help to answer your enquiry you can get in touch with the ILLs Team. See the Contact Us page for more assistance. To find out what is new or has changed in our Inter-Library Loan Service, take a look at our Contact and News page. There are also links on this page to other ILL-related resources that you may find useful. 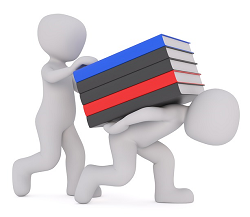 Items that we supply to you through the DMU Inter-Library Loan Service are subject to the same copyright restrictions as the resources that you use in our library, and are only to be used for personal study and research purposes. Copyright is a complex area, so in order to keep within the law when using any information resources, please refer to our Copyright Guide. Can I request Inter-Library Loans for commercial purposes? All users of the Inter-Library Loans Service must agree to a declaration which states that the copy they are requesting is either for the purpose of non-commercial research or for non-commercial private study. If the copy is for commercial purposes, you should not agree to the declaration. The required copy can still be obtained for you, but you will have to pay a copyright charge, in addition to the Inter-Library Loan photocopy charge. The cost of the request will be charged back to either you as the requester, or the originating department.